The Natural History Museum, in the midst of the city of Chemnitz, leads a project to dig through the Petrified Forest. Covering an area of about 10 x 25 meters of the ground, for interested visitors should be made a permanent exhibition. 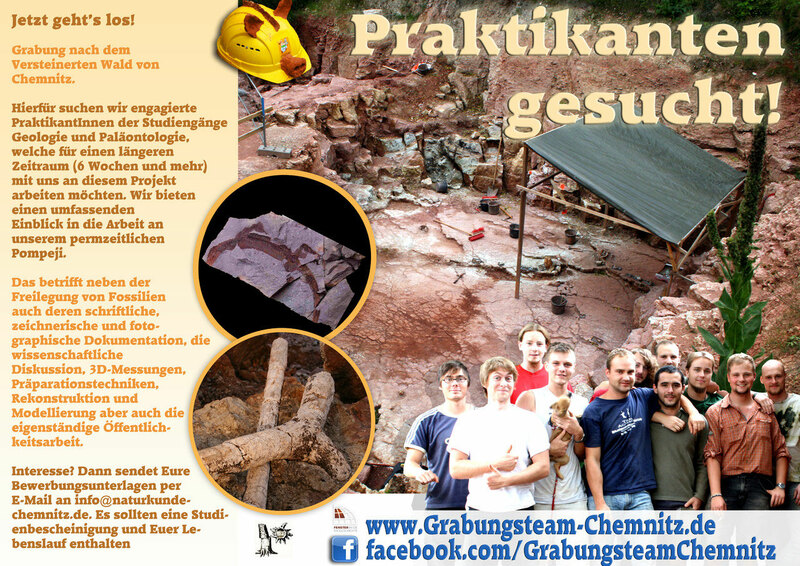 Digging for fossils is inherently exciting, especially in the special circumstances finding situation in Chemnitz. Here during the Permian an entire ecosystem was covered by volcanic rocks and ash and so preserved. The opportunity to examine a fossil forest in its entirety is especially great here. However, this also makes a great need for workers, because in addition to the fossils, also the spatial location must be documented. This method is currently only known in the archeology. We are looking for trainees of the Geology and Paleontology courses, who would like to work here for a long period (6 weeks or more) on this project. We offer a comprehensive insight into the work of such T °-deposits. This relates not only to the excavation of fossils their writing, drawings and photographic documentation, scientific discussion, 3D measurements, preparation techniques, reconstruction and modeling but also the independent public relations. Interested? 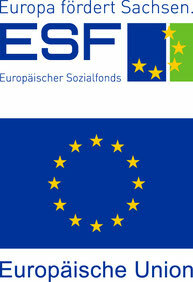 Then send your application by e-mail to info@naturkunde-chemnitz.de. It should contain a certificate of study and your resume (CV). We would also like to know why you are the right person for this internship.